Out of boredom, I decided to try on a mobile game for my S3. I have given up on the idea of mobile gaming quite long ago, because I think they cannot compete with computer gaming, and most of them includes only mindless repetitive gameplay and cash dangling. Think Candy Crush or Temple Run, for example. However, since I was approached by Cherry Credits a few weeks ago to publicize their latest mobile game, Million Arthur, I decided to just download the game and pass the time with it. From my few weeks of playing it, I am sad to say that by around the third or fourth week that you're playing it, things will start to get a little boring from there. 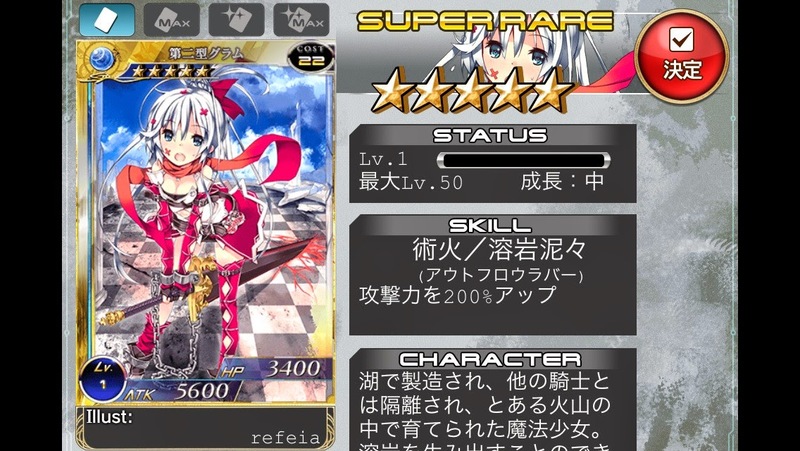 Million Arthur itself has a cool concept and a backstory. Building on the story of medieval English kingdom and the story of Arthur and Merlin, the game offers an interesting twist to the story itself. 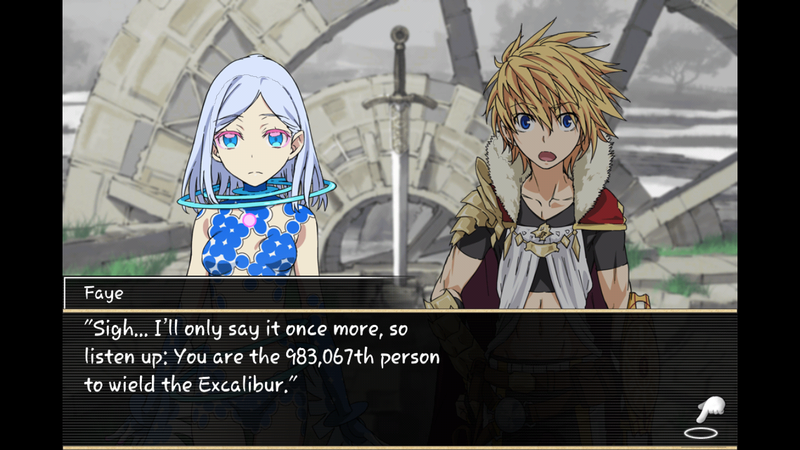 You're playing as Arthur, the wielder of Excalibur, and by through that, the destined ruler of Britain. However, so are hundreds of thousands of other Arthurs (or other players in that sense), hence the name of the game. A million Arthurs are fighting for the right to rule Britain, and you're one of them. It's interesting to see how the game ties up the legend of Arthur together with the multiplayer interactive gameplay itself, and I can say that the single player campaign is one of the strengths of the game. 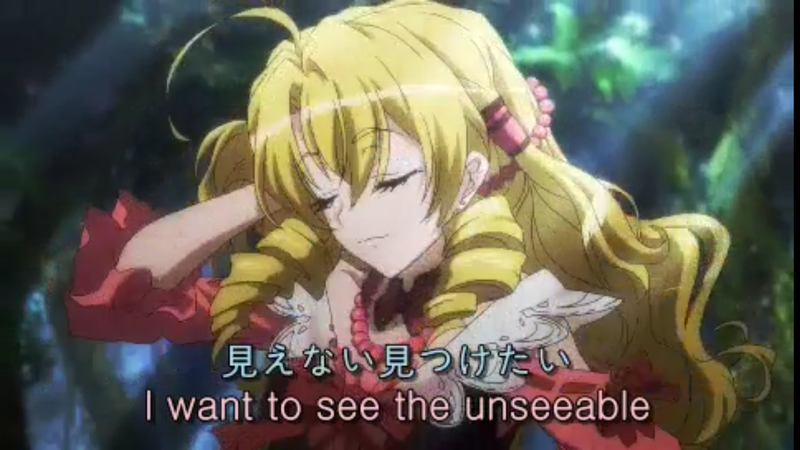 You have an interesting story going on, with twists and plot that reminds me of when I am watching animes. Coming from Japan it's not surprising, with the drawings as well as the voice acting that are done professionally as well. The soundtrack as well as the sound effects are brilliant too. 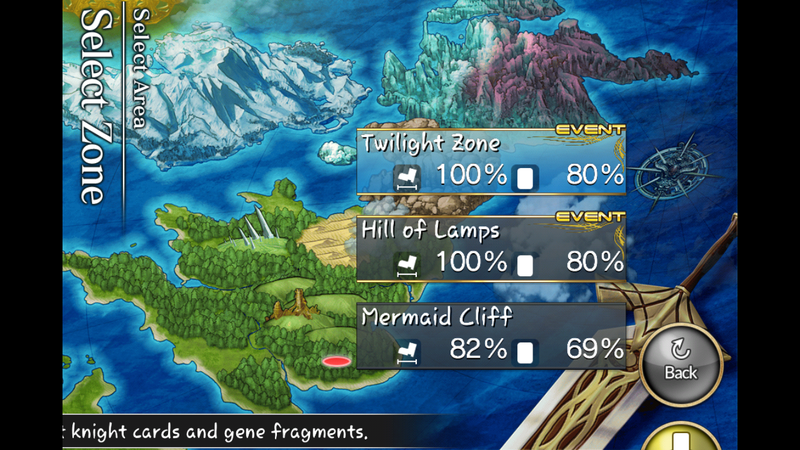 as well as the numerous NPC characters introduced in the game. I wouldn't be surprised if they actually do make an anime from this game, since the concept itself is already so unique and interesting. With that being said however, when it comes to gameplay, the game comes off as slightly disappointing, to say the least. As a game which sells itself as a card trading game, there is really not much strategy involved when you're using your cards to battle others. The developers practically dumb it down for the masses itself, where the game becomes more of a card collecting game instead. You see, battle does not require you to strategize and counter an opponents move. All of the mechanics of the battle itself is automated, from the skills that you use to the kind of attack that comes out. All you have to do is to tap a button, and the battle will be fought out automatically for you. 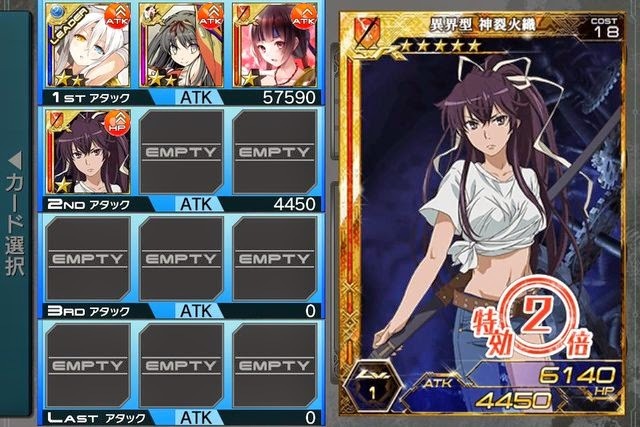 The only customization that you can do is to build up your deck and arrange possible combos during fight. So in a nutshell, winning in battle is not about strategy or skills, but rather having the strongest card available. Other than that, the other thing that I disliked about the game is how you need to have energy to perform actions in game.There are two different actions in game,one is to explore and the other is to fight, and both require different energy. One is called action points (or stamina) and the other battle points. Much similar to Facebook games like Mafia Wars, where you have to sit around and wait for your energy to replenish when you run out. That, or you can spend cash to buy. 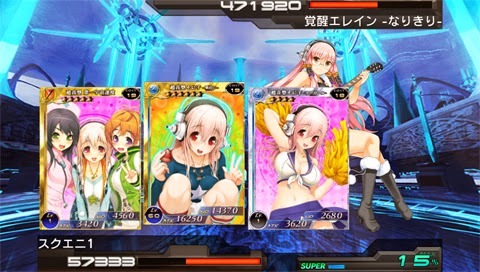 The game allows you to add friends as well, though there is not much interactivity at the moment with the exception of where friends can help you fight bosses. Adding friends gives you extra energy as well, but other than that, there's not much you can do. Unless if you want to like their profiles or leave random comments. There's an unfinished guild system that I have yet to know what it does, and you can battle other players (or Arthurs) as well, but other than that there's really not much to see. 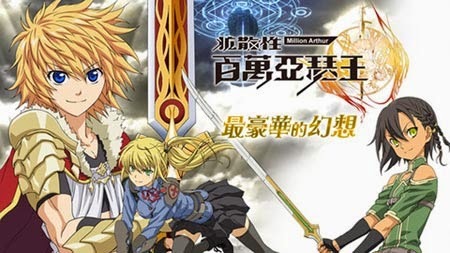 All in all, I find Million Arthur to be an interesting game, but it did not offer much for it to stand out amongst many of the other mobile games out there. Well, other than the skimpily drawn cards that the Japanese are so fond off I guess, and perhaps why it may be popular in the first place. Yes, all those cards are part of the game. Kinda make you nose bleed, don't they? 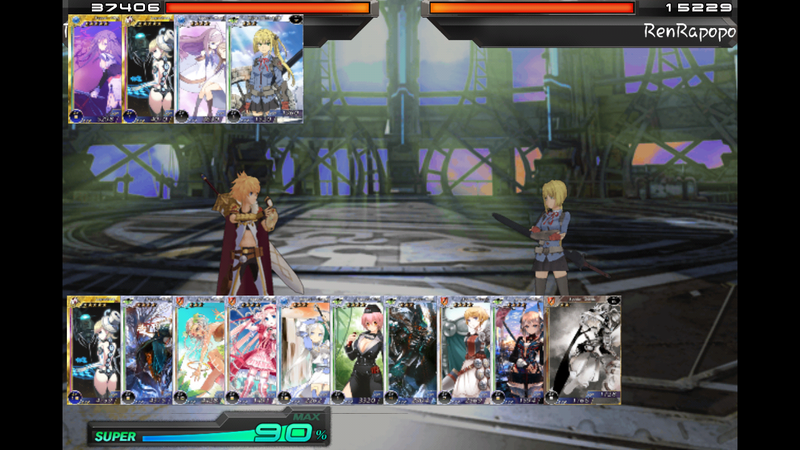 If you're a fan of Japanese games, don't like too much of strategy but still enjoy card games, Million Arthur is a great way to fill up your time. The game is now available on GooglePlay and the App Store for free.